Former club archivist as well as lead SOEC creative director, 2005-2018. 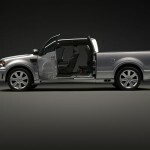 IRVINE, Calif., Sept. 27 /PRNewswire/ — In its first year of production, the 2007 Saleen S331 Sport Truck revived the diminishing performance truck segment with the first fully-functional, high-powered sport truck to the market in several years. Many performance trucks quickly followed, but none came close to offering the same combination of functionality, performance and aggressive styling. 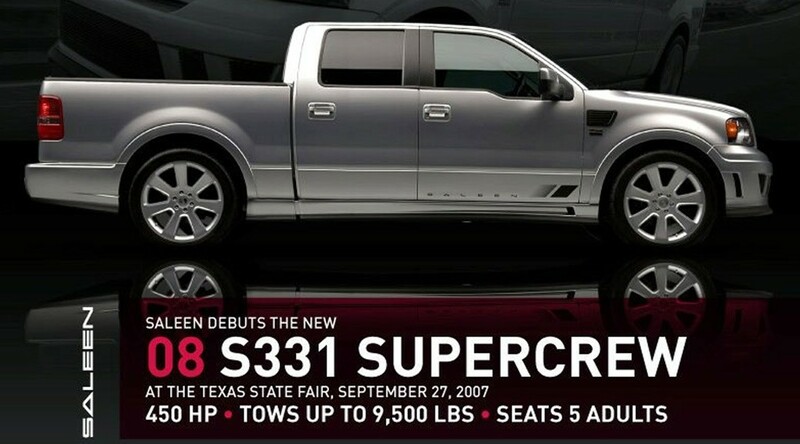 The 2008 edition continues to lead the performance truck segment with the same aggressive 450 horsepower, supercharged V-8 engine, Saleen RaceCraft suspension and the addition of a new SuperCrew four-door cab option. The S331 also maintains the ability to tow up to 9,500 lbs. Designed and engineered by the same technicians that hand-built the Saleen S7 Twin Turbo super car, the S331 continues as a functional truck with the optimum performance and styling of a world-class sports car. The S331’s package is complete with 23-inch Saleen wheels on ultra-high performance tires and power assisted four-wheel ABS brakes. Like all true performance vehicles, the S331’s cockpit has a commanding driving position from two-toned, double-stitched leather sport seats. Starting at $54,200, the S331 Sport Truck will outperform any truck on the road, tow lots of heavy toys and comfortably carry up to five adults. 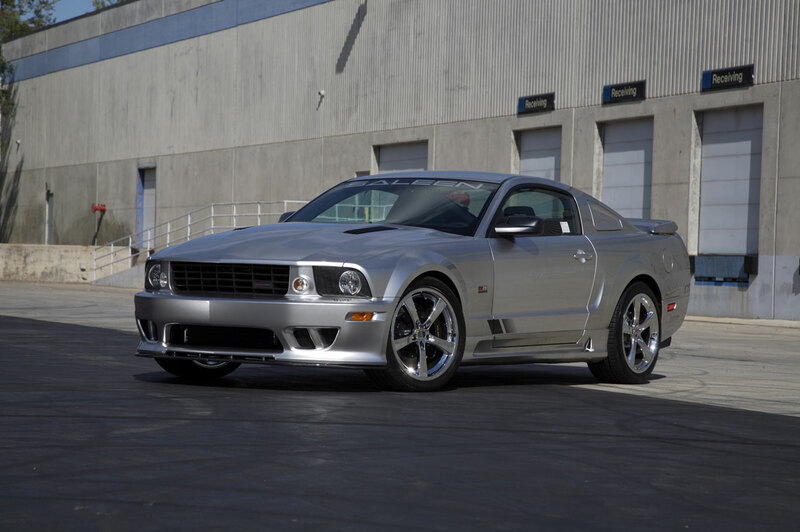 And since it’s a Saleen, the vehicle will maintain a high resale value. 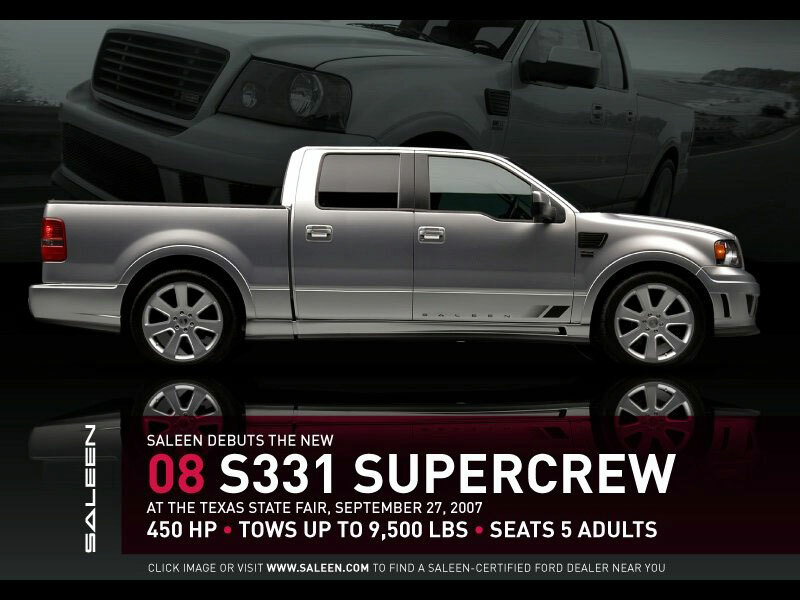 Saleen, a niche vehicle manufacturer, engineers vehicles under the same requirements as the big three automotive manufacturers (Ford Motor Company, General Motors and Chrysler LLC). This is an extensive process, but it guarantees buyers each body panel is made of the same high-quality, injection-molded plastics as the original equipment manufacturers (OEM) require. 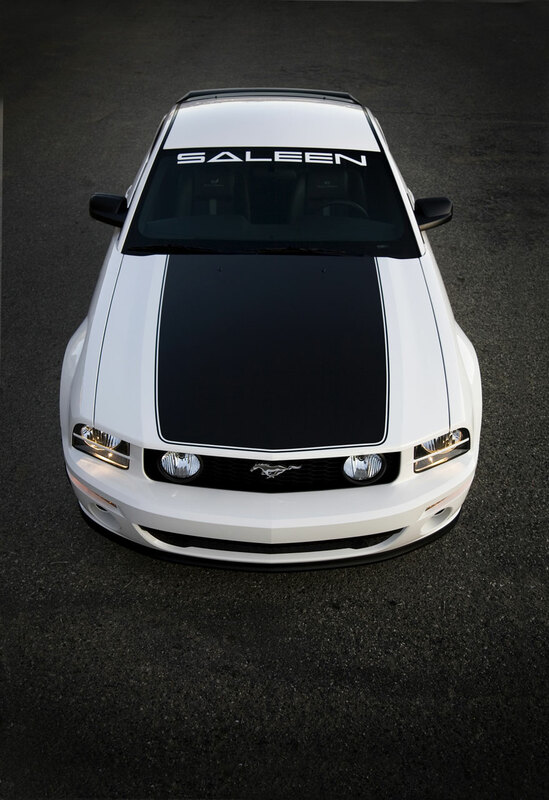 Each performance modification is engineered and calibrated by Saleen to provide efficient power and exceptional handling, without over exerting the engine or drivetrain. 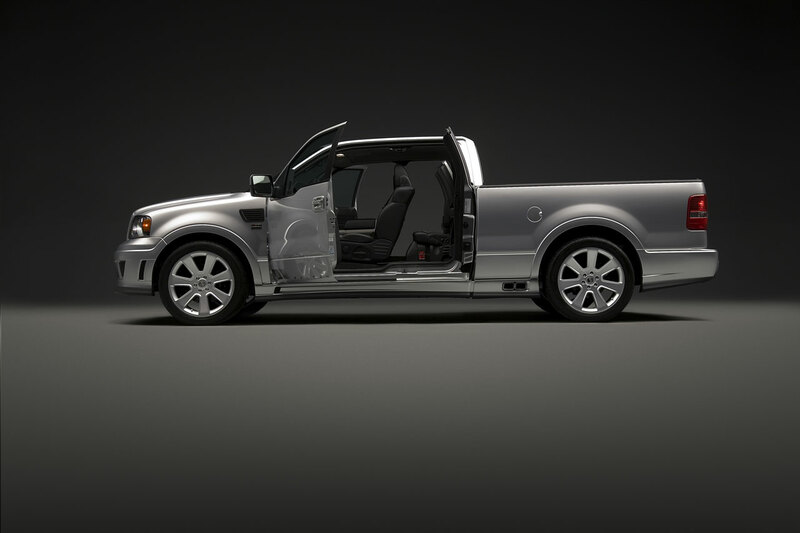 The end result is an exclusive vehicle offering of high-performance cars and trucks unlike anything else on the road. 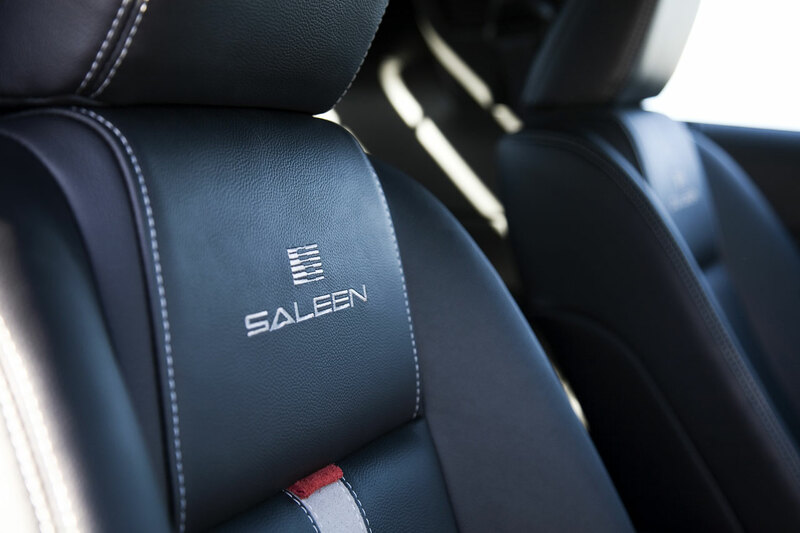 As of 2007, Saleen equipped more than 600,000 vehicles worldwide, including 12,000 complete and EPA-certified vehicles, more than any other specialty automobile manufacturer. 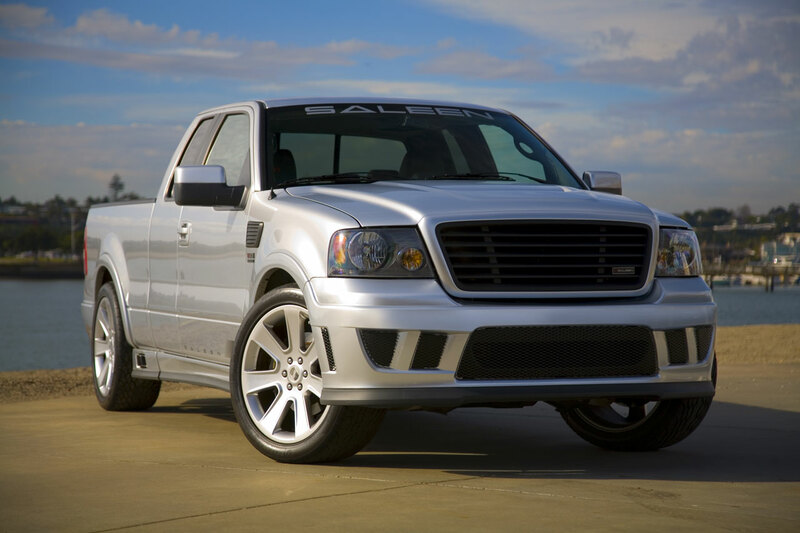 Saleen also helps major automotive manufacturers engineer and produce their performance vehicles including the Ford GT and Harley-Davidson Edition F-150 for Ford Motor Company and Dodge Viper for Chrysler LLC. 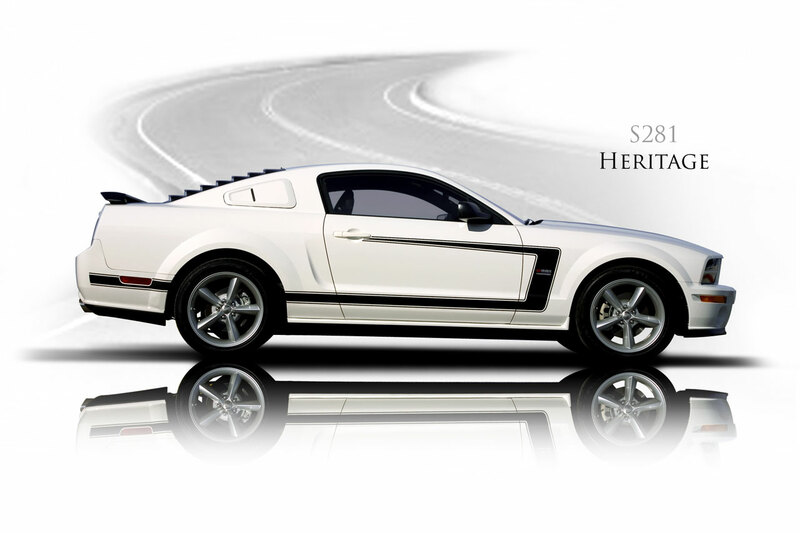 To find one of 200 Saleen-certified Ford dealers in your area, please visit http://www.saleen.com. Right-hand-drive converted models of the latest Ford Mustang GT have been approved for sale in Australia. Performax International this week announced it would import coupes and convertibles from the US for conversion for Australian roads following ADR approval. A company spokesman says the 4.6-litre V8s will be available at $115,000 ready for registration throughout Australia, with a four-year 120,000km warranty. Ford Australia does not import the cars and the company is not liable for warranty claims or servicing. 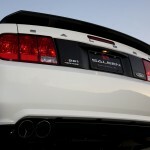 The hot Mustang Shelby GT500 Coupe, with a supercharged 5.4-litre engine, will be available at $179,990. 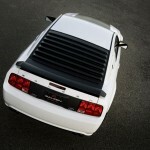 The high-performance Saleen Mustang is also on their agenda. Our friends at Saleen, Inc sent this photo of a newly constructed S331 Supercharged model. 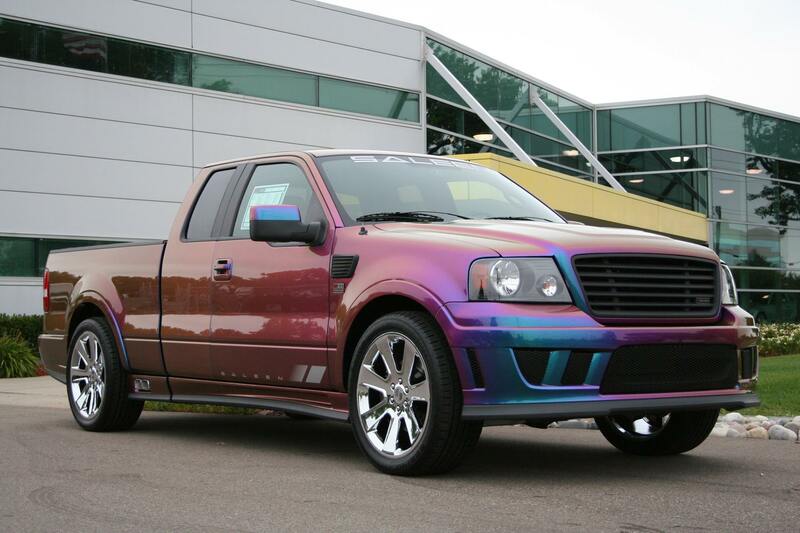 Saleen serial 07-0397T wears optional Extreme Rainbow paint and is shimmering in the sunlight outside their Troy Michigan production facility. This one-of-a-kind S331 is headed to Maroone Ford in Margate, Florida. ROCK Radio DJ Kieron Elliott is revving up his engine for the famed Cannonball Run. DAREDEVIL TV star Kieron Elliott is revving up to win $1million by outrunning US cops in a real-life Cannonball Run dash across America. Kieron, 33, is one of more than 400 hellraising petrol heads taking part in a wacky race from New York to Los Angeles on July 29. The flying Scotsman, above, from Airdrie, will take the wheel of a Mustang Saleen for the 2,900-mile coast-to-coast trek. And the former River City star has a few tricks up his sleeve to foil cops – just like screen hero Burt Reynolds in the classic Cannonball Run flick. Keiron, now breakfast DJ for Rock Radio 96.3FM, has air support to help him win – drafting in a HELICOPTER to help avoid police. He grinned: “Cannonball Run has to be one of the best films ever and we’ve got a few tricks up our sleeves. Kieron – who played cancer sufferer Duncan Robertson in the BBC soap – will be racing with radio pal Billy Anderson. The super-rich racers stump up Pounds 5,000 just to take part. Kieron and Billy hope to be a hit with the ladies at the riotous parties being thrown along the route to LA. Kieron will be phoning in with daily updates for his Rock Radio show – and listeners will have a dream chance to win his super-fast Mustang. 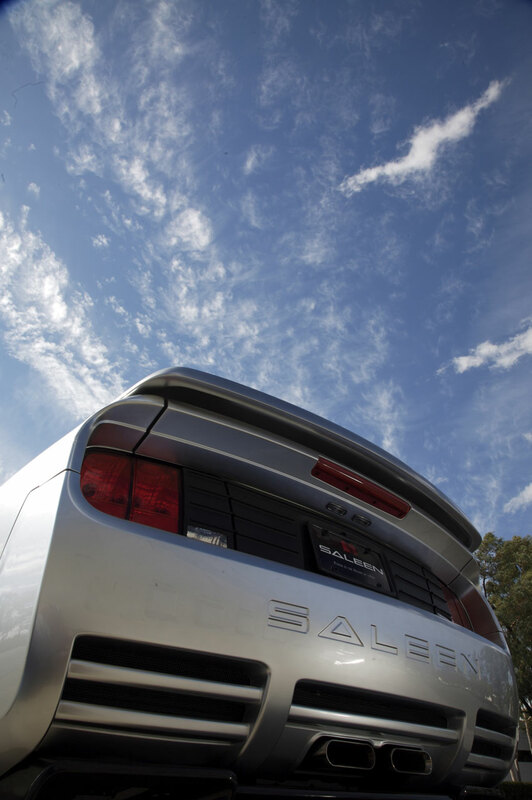 IRVINE, Calif. — Among auto enthusiasts, the name Saleen carries a certain mystique — whether applied to the man or the company he founded. Steve Saleen is the automotive Midas who turned Ford Mustangs and F-150 pickups into high-performance gold. He also produced the $580,000 Saleen S7, a worthy American-built rival to Ferrari and Lamborghini. 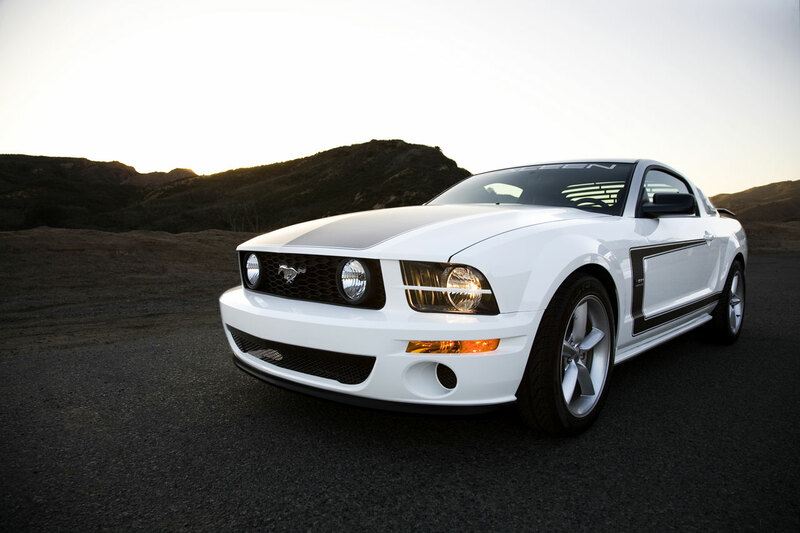 A race-car driver, Saleen decided 23 years ago that he could make a business out of installing racing components in Mustangs to create road rockets with a sizable boost in horsepower, road-gripping thrills and in-your-face looks. From its start on the family dining room table, the privately held company known simply as Saleen has grown to nearly 400 employees. The company says it has about $100 million in annual sales. After seeing it through more than two decades of growth, Steve Saleen sold the business to Hancock Park Associates, a private investment group, in 2003. He continued as vice chairman until May. Last week, Steve Saleen announced that he will be CEO of ZX Automobile of North America. A subsidiary of China America Cooperative Automotive (Chamco), it plans to bring Chinese vehicles to the USA. He isn’t abandoning his namesake company. 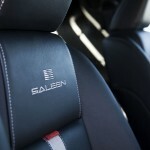 He says he’ll continue to support Saleen, including consulting on new products. The company is now in the hands of CEO Dan Reiner, who wants to broaden Saleen’s customer base beyond Ford to include other automakers and projects. Steve Saleen, 56, grew up in Whittier, a Los Angeles suburb. The son of the founder of a pet-food company, he earned a business degree at the University of Southern California. He worked for his dad, but his love was cars and racing. 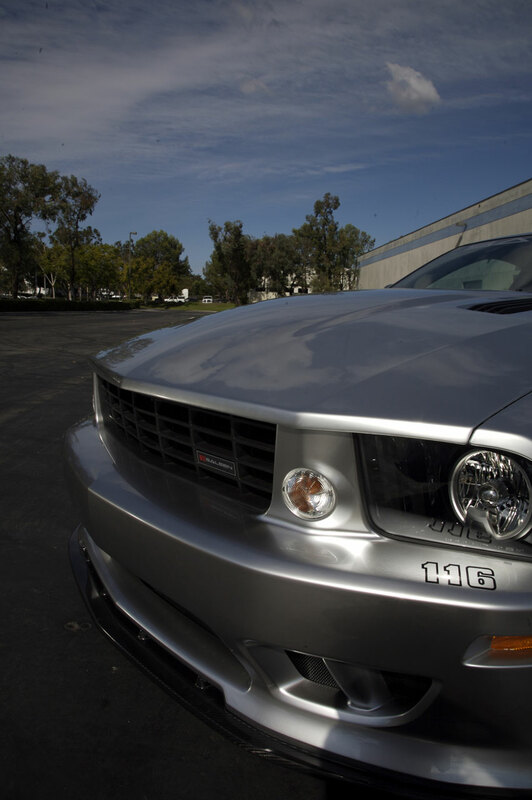 He switched to racing Fords and worked to make his own Mustang more competitive on the track. 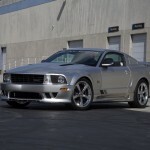 Other enthusiasts took notice and soon were asking Saleen for help. A business was born. 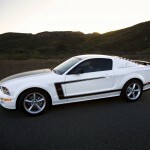 He started with a single blue-and-white prototype Saleen Mustang, which he showed off at a race. His first plant began operation with five workers. Over the years, the business hit some rough spots. 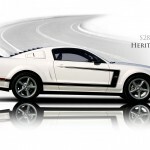 One crisis came in the late 1980s when Ford considered stopping production of the Mustang in favor of the now-defunct Probe, a decision it rescinded. Another crisis came in the early 1990s, when the auto industry hit the doldrums. 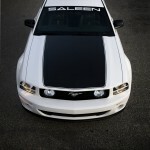 Saleen borrowed money and added some investors. • Mustang. They come in three versions — hot, hotter and hottest. Or more accurately, 335, 465 and 550 horsepower, a big improvement on the stock version’s 300. 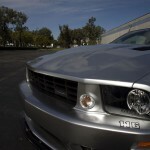 The hottest, called the S281 Extreme Mustang, has more content added by Saleen in Irvine than when it comes off Ford’s production line, the company boasts. 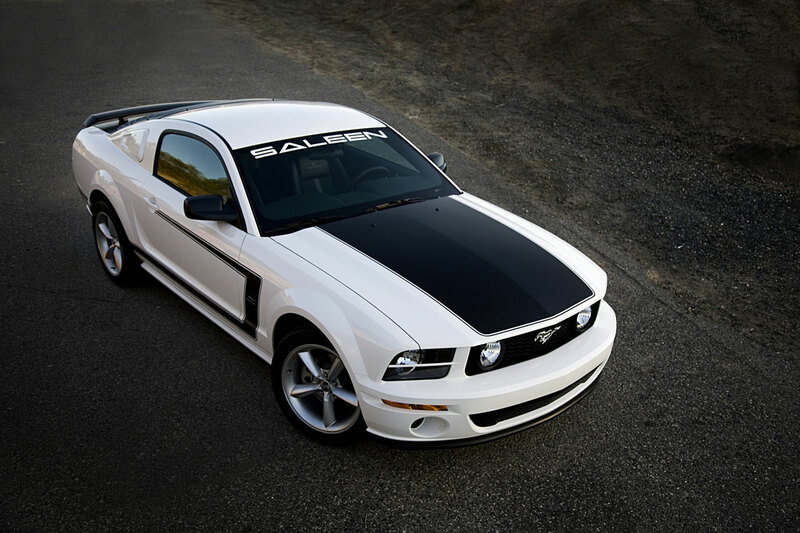 The $70,999 car is repainted in Saleen’s own colors. 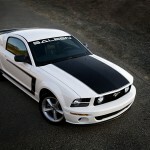 Saleen buys the cars from Ford, customizes them, then fills orders from about 200 Saleen-authorized dealers. “We are dramatically changing the DNA of the car,” Steve Saleen says. 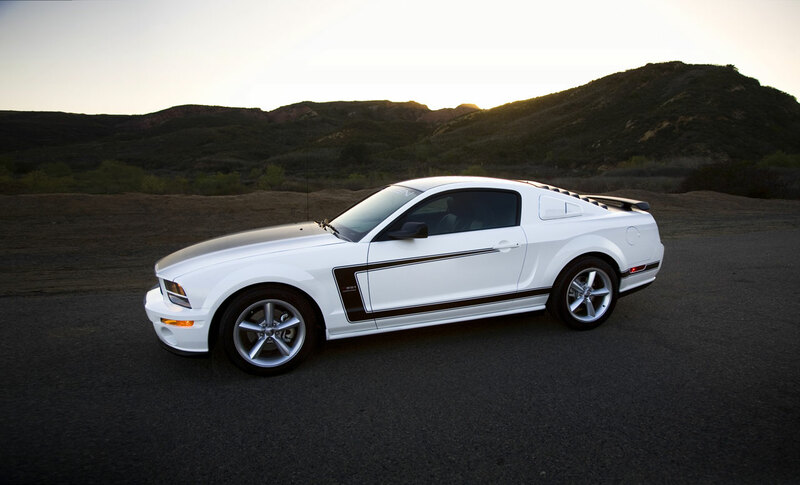 Besides its own Mustang line, the company also makes a Saleen/Parnelli Jones Limited Edition. It’s a throwback to the 1970 Boss 302 that won races for Jones, complete with orange paint and broad black racing stripes on each side. The dashboard is signed by Saleen and Jones. • S7. Customizing other automakers’ cars wasn’t enough. 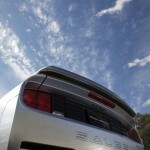 In 2000, Saleen embarked on building its own supercar. “We wanted to build the fastest, highest-performing car in the world,” Steve Saleen says. The resulting S7 blazes from zero to 60 in 2.8 seconds. Each S7 takes about six weeks to build. The S7’s engine, sitting behind the driver, is so big that there’s no rearview mirror. Instead, a video display pops open that shows the view from a camera embedded in the rear of the car. The driver’s seat is molded to uniquely fit its owner. The car has become a star. Jim Carrey drove one in the movie Bruce Almighty. So did bachelor Andy Baldwin in this season’s run of TV’s The Bachelor. The S7 also is racking up successes on the European racing circuit, setting a track record at the 24 hours of Le Mans race in 2001. • F-150. 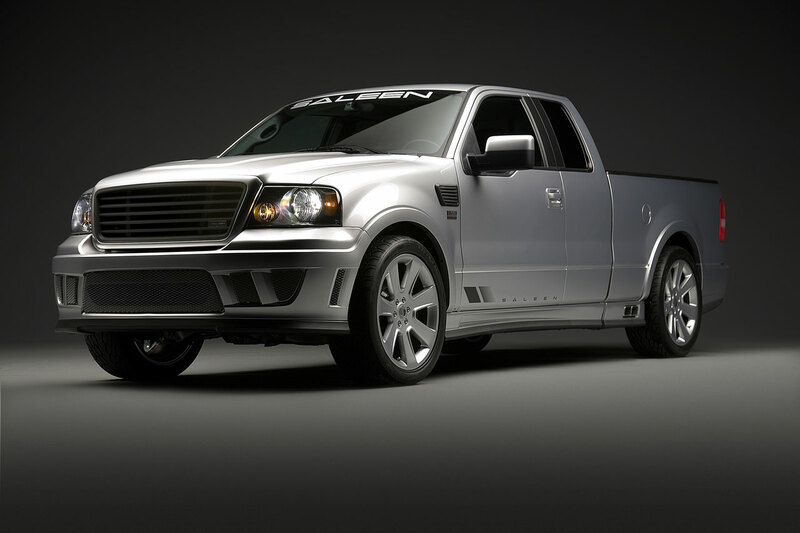 The S331 Supercharged, a $53,999 Ford F-150 pickup, is so powerful that Saleen says it can beat a stock Mustang GT around a track and still tow up to 9,500 pounds. 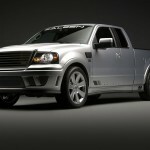 Next will be Saleen-powered version of Ford’s already customized Harley-Davidson F-150. 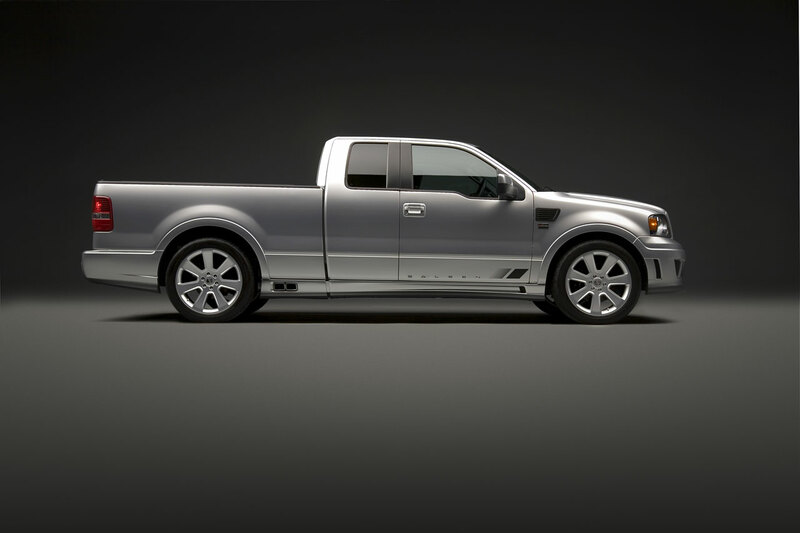 To play up the brand’s exclusivity, all Saleen Fords have their vehicle’s sequential production number painted prominently on the bumper. That’s a big hit with buyers. “We’ve had customers who have had their numbers tattooed on them,” says Billy Tally, who was chief technical officer at Saleen. Tally will join Steve Saleen at ZX Automotive as CTO. In keeping with CEO Reiner’s plan to broaden the product line, Saleen just landed a contract painting the next generation of Dodge Viper, its first contract unrelated to Ford. And it’s in the process of trying to acquire ACS, a small automotive supplier that pioneered installations of sunroofs and also does contract work. Timing of the moves couldn’t be better, Reiner says, because of how the automotive industry is moving in an age of mass customization. The goal is to become a small manufacturer nimble enough to meet the needs of buyers who want cars tailored just for them. Saleen is suited to make limited-production runs of 500 to 1,000 vehicles at a time, which isn’t economically feasible for a big automaker. 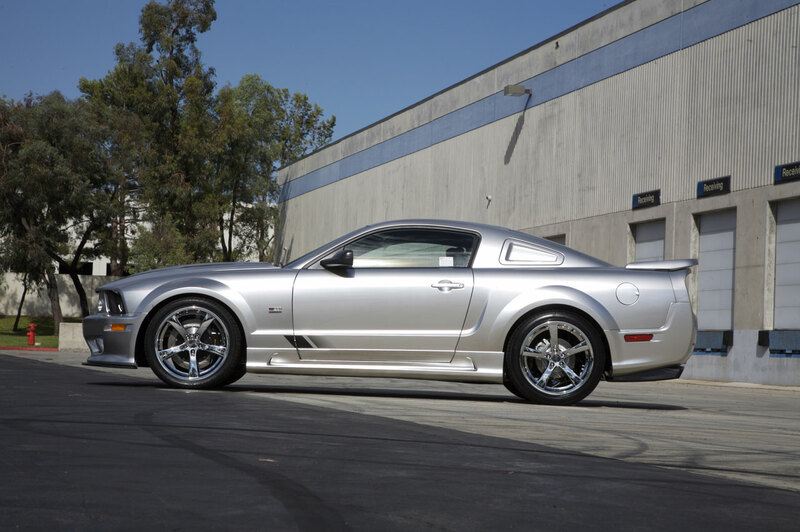 Despite outside owners, the business has remained a Saleen family affair. Son Clint, 35, is controller, while Sean, 34, is in sales, and Molly, 23, manages Saleen’s nearby mall store that sells everything from racing jackets to cars. Steve Saleen says his new job will take him “from one extreme to the other” as ZX will work at bringing entry-level Chinese cars to the USA. Looking back, he credits intense focus for growing his first business. 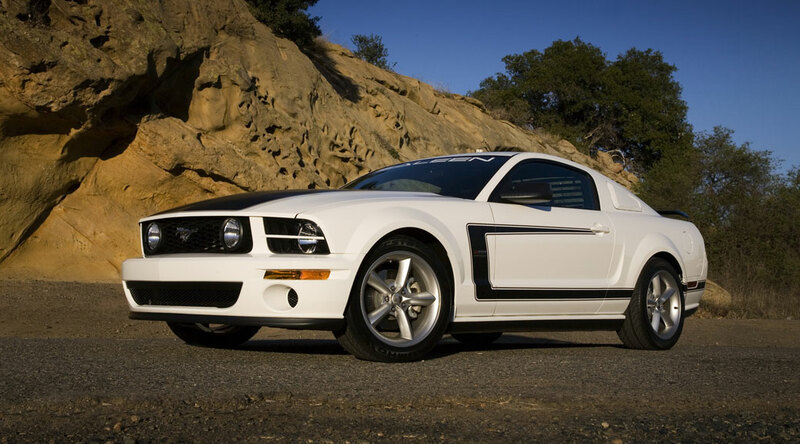 Saleen made its reputation in Mustangs, producing tens of thousands of them in the more than 20 years of the company’s existence. Mustangs are fine things to make, since everyone loves to go fast. But when you look at the numbers, Ford sold only 166,000 Mustangs last year while moving almost 800,000 F-series pickups. The S331 has everything you’d expect of a Saleen: a big fat supercharger underhood, big fat wheels and tires in the wheel wells and big fat aerodynamic add-ons over the rest of it. The aero stuff is solid injection-molded plastic and includes about every edge of the truck-grille, skirts and rear spoiler, to name three. The hood is aluminum and includes a hole for “heat extraction.” Saleen engineers say the heat extractor hole works. Air goes to a two-stage intercooler on the S331 Supercharged model from a 2.3-liter screw-type compressor. The screws are from Lysholm, but Saleen designed the rest. The air makes just one bend before feeding into the blower, located in the valley of the V, and then into the intake runners. Because the flow is so smooth, temperatures stay lower, and the whole thing needs only 5.5 psi of boost to bring power to 450 hp and torque up to 500 lb-ft. The normally aspirated S331 three-valve model still gets 325 hp and 380 lb-ft with bigger injectors, better airflow, custom accessory pulleys and a reflashed chip. All that power stays on the road with a customized suspension-lower springs in front and Sachs shocks at all corners. Those are 23-inch forged wheels in the wells, bigger than even those on the out-of-production Dodge Ram SRT10, which has 22s. There are two brake choices on the S331: 13.0-inch front and 13.7-inch rear vented discs or 15-inch slotted and vented rotors with six-piston calipers front and stock rear binders. The rear wheels are staggered offset to give the back end a wider, more stable stance. Yes, there are kits from Roush that make 445 hp, and you could buy one of the last SRT10s on dealer lots to make similar power. 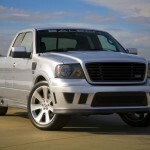 The difference, Saleen says, is that his rig can haul as well as haul. We rode along in an S331 towing a Baja 26 Outlaw powerboat that, together with its tri-axle trailer, weighed about 7000 pounds. The S331 didn’t flinch. The next day, we took the same truck to the Saleen Driving Experience, an autocross setup designed to teach new Saleen drivers the intricacies of proper car control. Again, the S331 felt fun, or as much autocross fun as may ever be possible in a 5500-pound, leaf-spring-rear truck. It was certainly more fun than a stock F-150 could provide. Cost ranges from about $54,000 to $64,000. Again, we ain’t good at math, but that’s a lot of money. 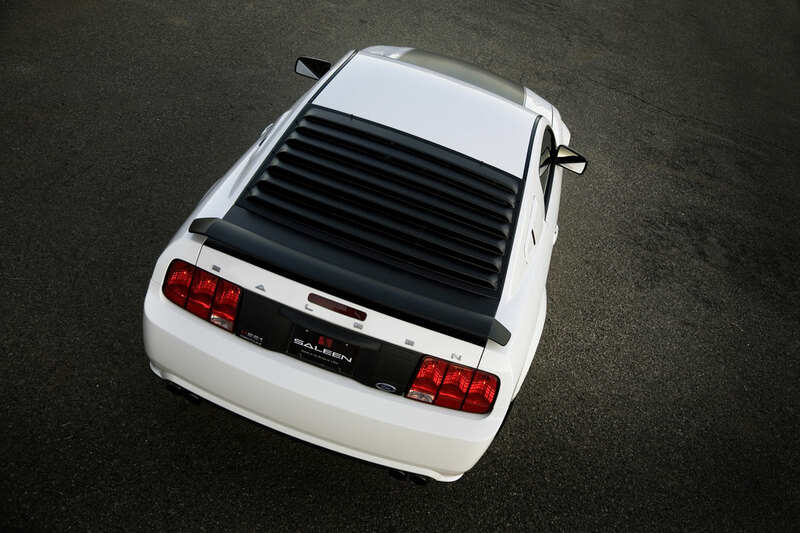 The Roush Stage 3 is about $56,000. 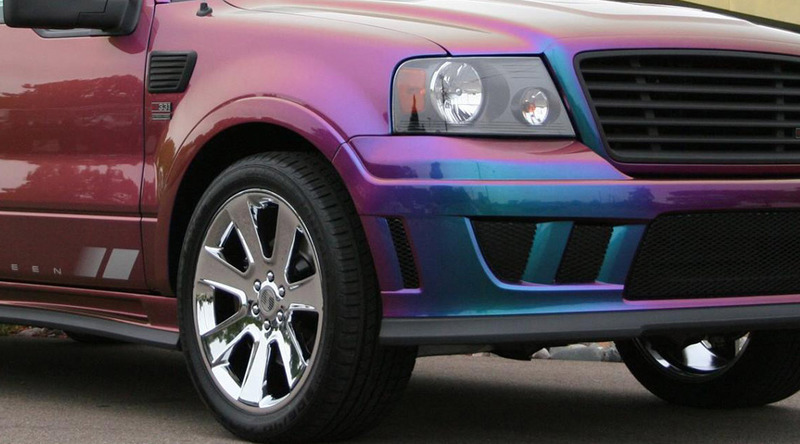 The SRT10 is/was $45,000. 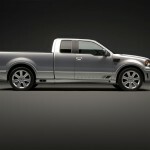 Saleen has a deep cadre of loyalists, though, many of whom need or want trucks. NEWPORT BEACH, CA–(Marketwire – June 1, 2007) – Lyndon Group, LLC (LG), a premier financial consulting firm serving some of the best-known companies in the world, as well as middle market and emerging growth businesses, today announced that it has hired Anthony M. Salerno to serve as managing director of business development. In his new position, Salerno, 35, will play an integral role in continuing LG’s recent rapid expansion by leading all business development functions as well as positioning LG for future growth. Recognized for its exceptional customer service and high caliber consultants, LG specializes in sophisticated project management, Sarbanes-Oxley compliance, SEC reporting, information technology services, audit preparation, acquisition due diligence and integration, internal control outsourcing, lean manufacturing solutions and personnel placement. Salerno was most recently the North American controller for Aston Martin, a division of Ford Motor Company, where he directed the financial growth of the company through its two most profitable years in history. Previously he led Saleen, Inc. to profitability and subsequent recapitalization as vice president of operations. Salerno’s other experience includes senior finance positions at Onex, International Speedway Corporation and Penske Corporation. Salerno has an MBA from the University of Southern California in Los Angeles and a BS in Finance and Accounting from Wilkes University located in Wilkes-Barre, Pennsylvania. Lyndon Group, LLC (LG) is a financial consulting firm specializing in sophisticated project management, Sarbanes-Oxley compliance, SEC Reporting, information technology services, audit preparation, acquisition due diligence and integration, internal control outsourcing, lean manufacturing solutions and personnel placement. LG receives most of its referrals from Big 4 accounting firms and other professional service providers by offering clients a valuable alternative to conventional consulting firms and temporary service agencies. LG serves both public and private companies and has consultants engaged at some of the best-known companies in the world, as well as middle market and emerging growth businesses. Visit the LG website at www.lyndongroup.net for more information.